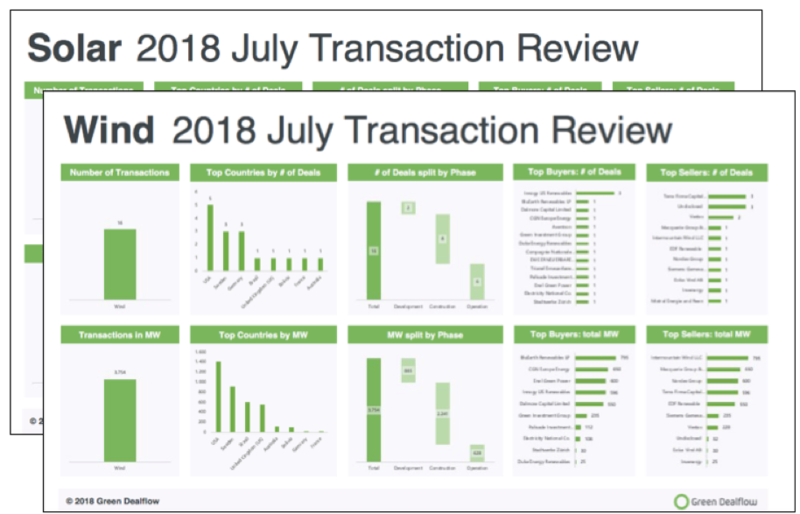 This week, Green Dealflow published its monthly transaction activity report of the solar and wind industries for July (access it here). The report is built from Green Dealflow’s transaction database that tracks equity transactions of solar and wind projects around the globe. © 2017 Green Dealflow - Terms and Conditions - Code of Conduct.